Are you struggling this week, friends? Are your loved ones struggling? It’s a “meat and potatoes” kind of meal for the soul! Be sure to stop by and be filled. Thanks for linking up with us last week. If you were featured, feel free to grab a featured button below! Grace & Truth exists to point people to Jesus! 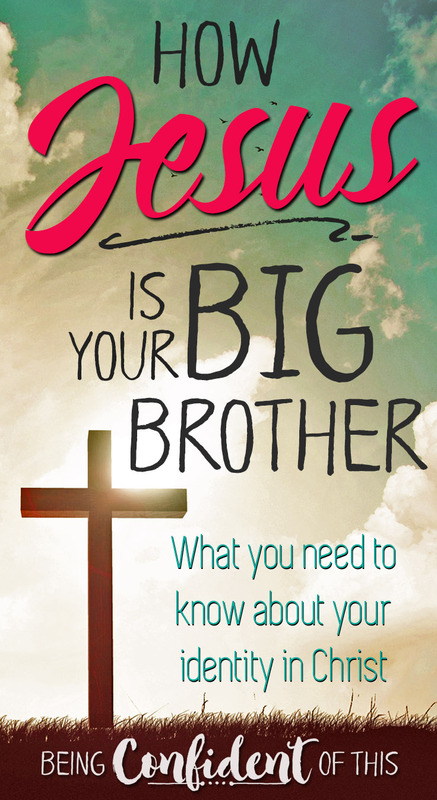 We hope this link-up will be a source of encouragement each and every week. 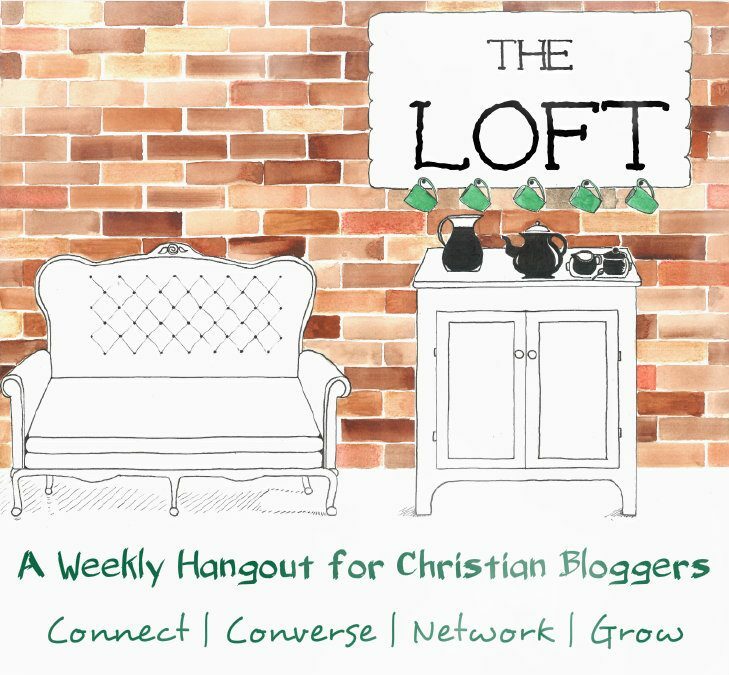 If you’re a blogger our hope is that you’ll use this space as a way to meet new friends within the Christian blogging community. 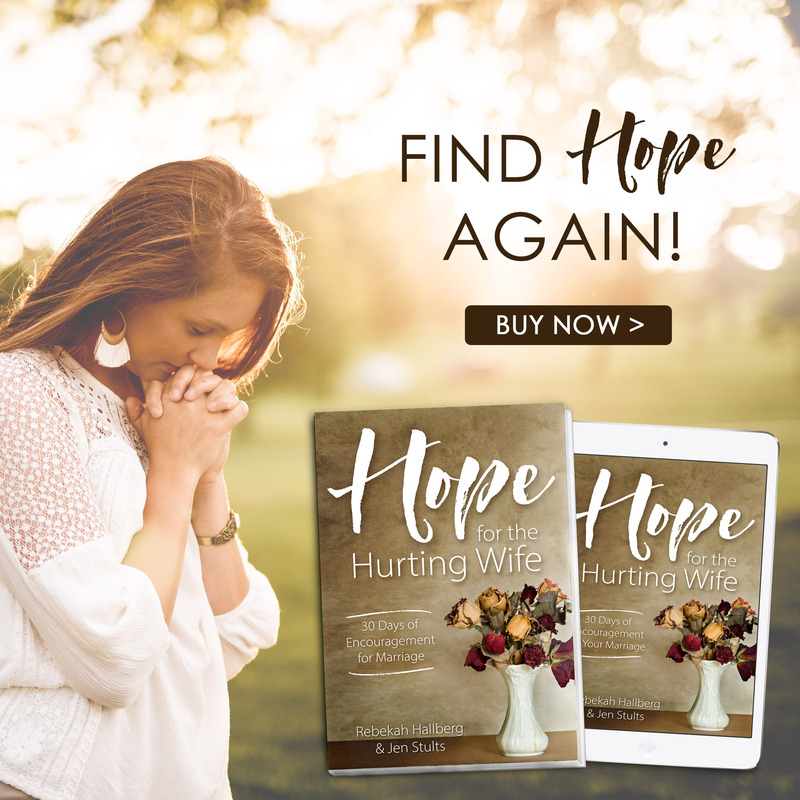 If you’re a reader our hope is that you’ll meet new bloggers that love Jesus just as much as you do! Most of all, we hope you’ll meet Jesus here. 1.) Follow your hosts via their blog and/or social media channels. This is not mandatory, but appreciated! 2.) Leave 1-2 of your most recent CHRISTIAN LIVING posts. Please do not link DIY, Crafts, Recipes, etc. Links of this kind will be deleted. We also reserve the right to delete posts that don’t align with the theme or that are deemed by the hostesses to be inappropriate. 3.) Visit 1-2 other links and leave a meaningful comment! We want to encourage community, so please don’t link and run! 4.) All links are randomly sorted – feel free to link as early or as late as you’d like. The playing field is even! 5.) Grab a button or link back to encourage new linkers. This is not mandatory to participate, but is required to be featured. 6.) Each host will choose one link to feature and promote via their social media channels next week. 7.) By linking up you agree to allow the hosts to use your featured post image if you are chosen as a feature for next week. I found encouraging words that really spoke to our current in-between status as we wait for approval to begin church-planting from Christi over at The Cheerio Trail. Have you ever thought about learning to recognize the enemy’s pattern of attack in your life so that you can more easily head it off? Love these tips – especially number 2! You can also follow Christi on Facebook, Twitter, and Pinterest, as well as hear her voice via podcast. You can also find Sarah on Facebook, Twitter, and Pinterest. Thanks to all of you for continuing to share quality Christian Living content with us each week. We appreciate you! Listen for His voice this week, friends. It’s our favorite time of week again! This week we’ll be sharing our favorite fall recipes with you, so come join us in the linkup. PLEASE NOTE: We want to foster community and transparent conversation with one another, just like we’d do if we were meeting in real life. So we ask that your link stick to the weekly topic and that you mention The Loft in your post. Thank you so much! Monday night, at 9pm Eastern, the linky goes live and all week you can link up your post on that week’s topic. 3. Be a community. 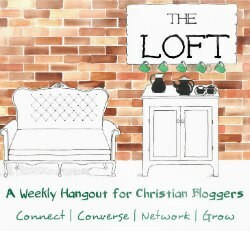 Include #TheLoft graphic and/or link back in your post so we can find each other. Also, share the great stuff you find when you visit around…we’ll be doing the same. My sisters in Christ, I’m very excited about this week’s topic for The Loft. I look forward to reading what each of you have to say about your walk with the Lord. I know in my own life, I get easily distracted. I struggle with consistency and self-discipline so often. And I used to believe that the sweetest times with the Lord were on the mountaintops, when I chose to abide closely in Him. I spent large chunks of time reading the Word and praying. But lately I’m learning there is a sweetness to be found in the valleys as well because what I’m hearing from Him in the valleys would have been impossible to hear on the mountaintops. The last few difficult years have challenged my view of God like never before. His grace is much greater, His love much deeper than I ever could have imagined. He faithfully loves me even when I cannot love myself. Even when I loathe myself. And then came the valley of the shadow of death, or at least it felt like it, that filled these last couple of years. At times I didn’t even want to leave my bed. At times I begged the Lord to come quickly – everyday life felt like too much to bear. I questioned the Lord like never before. I wrestled with him like Jacob as one blow after another fell upon my life. I quit trying to act the part of perfect Christian and begged for understanding. I got real with Jesus. It was (and still is in some sense) a most difficult struggle. Yet my faith has been strengthened! Out of my honest conversations, out of my most desperate cries, came an understanding that I am perfectly loved, perfectly wanted, perfectly accepted. 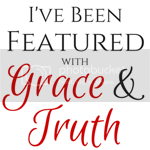 I knew a brand new Grace, and it blew my mind – still does! Because when I was my ugliest self, He loved me still. He loves you, too, my sisters, even at your ugliest, your most unlovely, your most unworthy. And when we come to Him honestly, then He can begin the real work of “creating a clean heart” within us. He gives us “grace-colored” glasses and teaches us that progress is what really matters, not perfection! 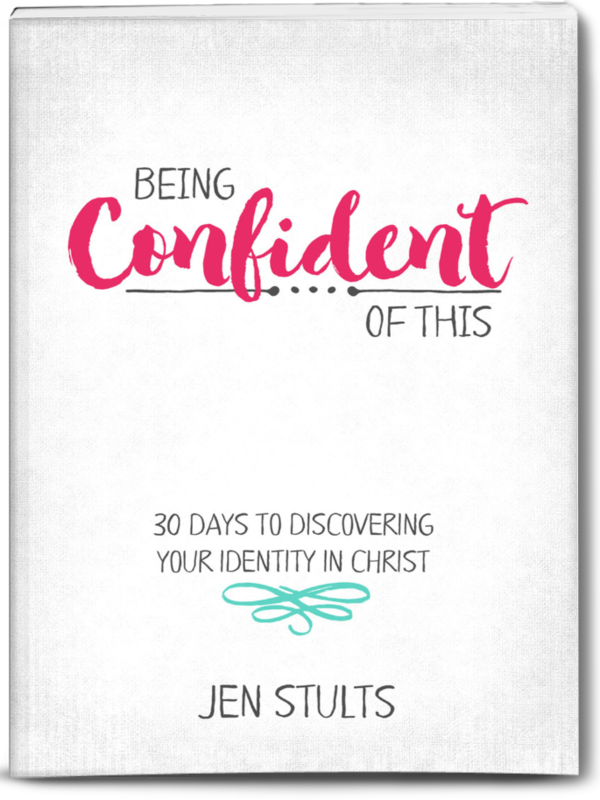 He teaches us confidence that only comes from fully understanding our Daughter-of-the-King status. I’ve come out of that valley with a closer walk, not a perfect walk, but a closer one. Not because I do my devotions without fail, not because I am sweet to my family, not because I serve Him at church, not because of the words I type out here. But because I know Him more deeply. I trust Him more deeply. You can trust Him, too, sisters. Whatever your valley may look like, He promises to carry you through. “The Lord is my helper, I will not be afraid. Also sharing this with Tell His Story. One day after our seven-year-old’s soccer game, he waited in line at the concession stand. The rest of the family waited a few feet away, arms full of camping chairs and water bottles, ready to head back to our trusty minivan. I watched as our son’s easy grin lit up his face while he talked animatedly with a teammate behind him. His team had remained undefeated, and he was on cloud nine! He called out to his younger brother to join him. “This is my brother, ” he told his teammate. “Say, hi!” he encouraged the four-year-old. Pride shone forth from his face as he talked about how he teaches his younger brother and sister how to “do sports” and how they listen to him and do what he says. He put his arm around the four-year-old in a protective and possessive way, completely pleased to be the big brother. “Gimme five,” he instructed. The younger brother gladly obliged and bounced back to where the rest of the family waited. Then, he called over his younger sister, also four, and the scenario played out all over again. She giggling and he smiling in her face. Her quick wave to the teammate was cute and girly. She, too, gave a five and then pranced back to join us. I listened as our son and his teammate continued to converse. “So, they’re like your minions? !” the teammate asked, impressed. “Yeah, pretty much. They’re my minions.” Our seven-year-old nodded his head. As I laughed quietly, I realized how true it is. They are his minions. And most of the time, they do his bidding. But he also cares for them. He helps them. He plays with them. He loves on them. He gives things to them. And when his friends are around, he introduces them with such beaming pride that you would think he birthed those two four-year-olds himself! I didn’t think much more of that overheard conversation until later that week when I attended a Beth Moore simulcast. 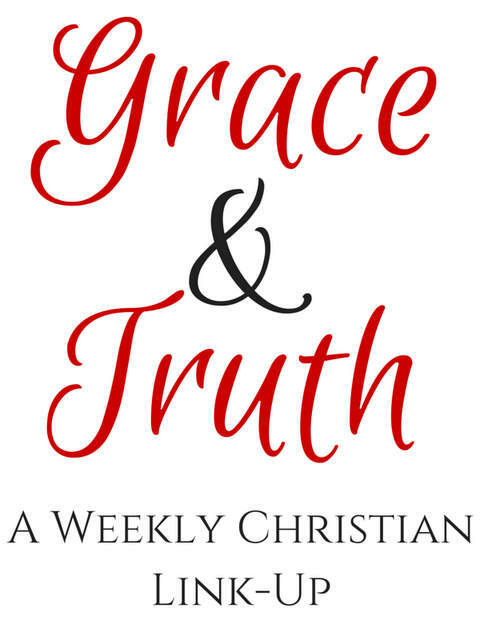 She spoke on grace and law, how we often trust grace for salvation, but we fail to trust it in our everyday lives. Instead, we walk as if still under the law, guilty and defeated, when we could be living free and victorious! We so often neglect to embrace our identity in Christ. At the end of the day, Beth brought our attention to the fact that we, who are in Christ, are fully accepted by God; there is nothing more or less we can do to “please” Him. Then, she ended with a speech given to us, one phrase at a time, to repeat to a partner. It was a speech of words about who we are in Christ, and a speech about how Jesus would present us, His sisters of inheritance. As I spoke the words aloud to my partner, I suddenly recalled my seven-year-old’s beaming face. Because that’s exactly how Jesus feels about each one of us, my friends! 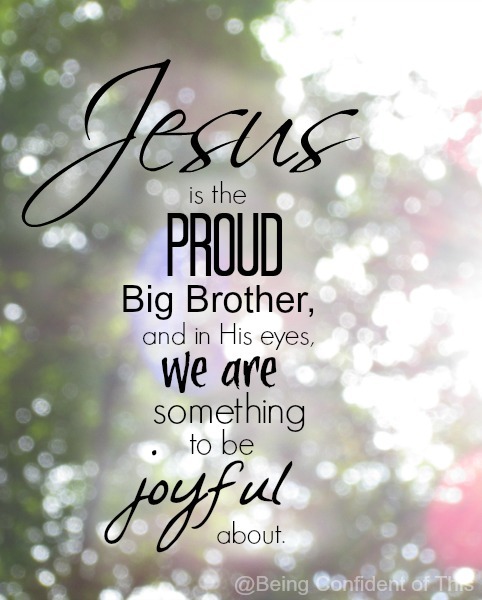 He’s the proud big brother; in His eyes, we are something to be joyful about. That’s our identity in Christ – that Someone is proud to have us in His family, proud to call us His own! Father, this is my sister. Isn’t she great? Look how beautiful she is! I love her so much that I willingly gave my life for her, covered her sins in my blood. She is infinitely precious to me, a daughter of the King. The Father smiles back at Him and nods in agreement. The Christ-brother holds out His hand for a celebratory five. 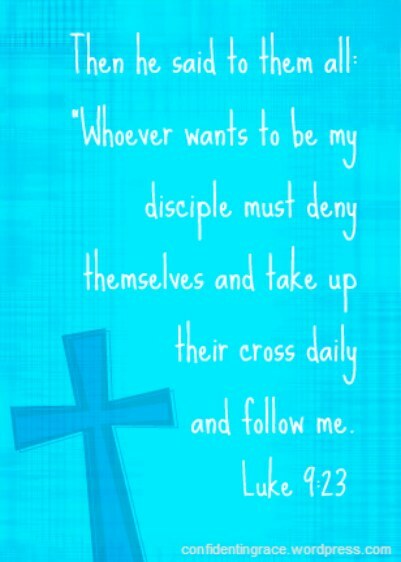 Let’s live from that identity in Christ, friends. Because we have a proud big brother. And His name is Jesus! 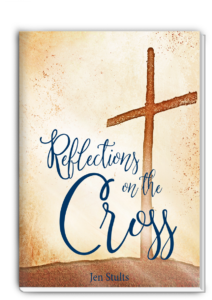 To read Beth’s commissioning prayer (and other goodies from the simulcast – like the Grace Poem), click here. It was bound to happen eventually. I’ve only been blogging for a few months now, so I don’t really have much experience to go on. But I think I can say with some certainty that the blogging honeymoon is over. Blogging, like so many other things in life, was so fascinating and exciting when it was new to me. Every view was cherished, every comment celebrated. Some days I would check the blog first thing in the morning and last thing before bed. It’s the truth; I think I became just a tiny bit obsessed! Maybe, just maybe, I even made an idol of it, to my shame. I do that, though. I throw myself into new things with such enthusiasm, such big plans and dreams. And then somewhere along the line, it stops being quite so much fun and starts to feel more like work, like just another burden to carry. Some of you might be thinking, but it’s just a blog! To a certain extent, you’d be correct. It doesn’t feel like “just” a blog to me, though. It feels like part of me that I’ve put on display for the world to see. And there are these nifty little graphs that measure that part of me day by day by day… And some days they just don’t measure up to what I’d like to see. No matter how high they reach, there seems to be this desire for more. And the inspiration isn’t always there. And busy schedules get in the way. I just want to give up. Let’s be honest. It happens to all of us! When that new baby comes home smelling so sweet, and everyone is exclaiming “how perfect”…when that new job is so exciting that you just can’t wait to go to work, and people tell you how happy they are to have you there…when that new ministry that you’ve been planning for and dreaming of finally comes to fruition…when you make that purchase that you’ve been saving up for and it’s just. so. cool….when that mountaintop experience leads you to a faith high that just can’t be matched. Inevitably, a valley follows that mountain. That perfect baby that slept so well in the hospital cries all night long, night after night after night. That new job has its own set of challenges. That new ministry has flaws, too. That new purchase grows old or outdated. Thus the mountain gives way to a valley. And those feelings that had us on cloud nine in the mountains leave us, and we wish for more. But our spiritual lives are not lived just on the mountain tops. In fact, those mountain tops most likely add up to a very small part of our faith journey. The truth is that the valleys often naturally follow the mountains , not because anything has changed but because our physiology is built that way. Our bodies cannot sustain a constant state of “high,” so we must experience a “low” to bring us back to equilibrium. And perhaps even more because we were not meant for this imperfect world, so we yearn for something better. So what’s a girl to do when she just gets a case of the blahs and the blogging honeymoon seems to be over? She recognizes the valley for what it is – temporary. She remembers that she is not a citizen of this world. She blogs anyways because that’s what God led her to do, just like she mothers anyways, she loves anyways, she trusts anyways, she clings to His promises anyways, she speaks truth anyways, she leads anyways, and she hopes anyways. She keeps seeking. Sometimes she even stumbles and falls, and she’s so ashamed of her weakness. But He’s right there to help her back up again. 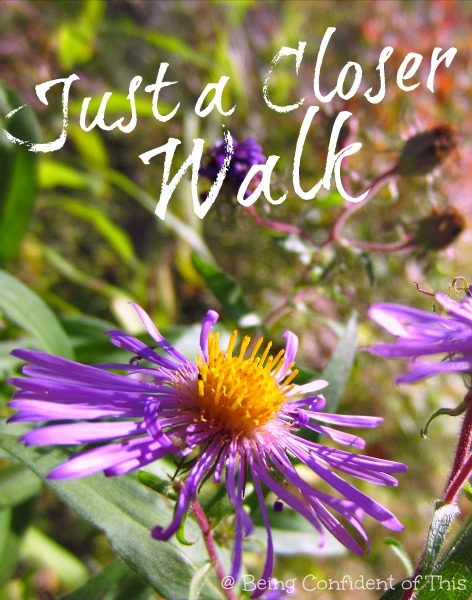 Along the way, she learns a little more of the unfathomable depth of God’s grace. She grows a little more confident in an overwhelming, unconditional love. She grows a little more confident in His timely provision. She grows a little more confident in the work He’s doing within her. Because He promised that one day, one glorious day, that work would be complete. And the valleys will be gone. And the mountain top lasts for all eternity. And we see His face. So we wait, like so many others before us. and has sat down at the right hand of the throne of God. 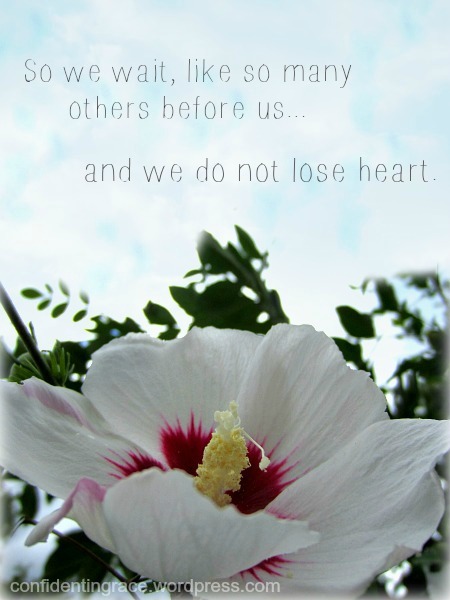 so that you will not grow weary and lose heart. And we don’t lose heart. Welcome to Week 2 of our Much Ado about Missions blog-hop series! 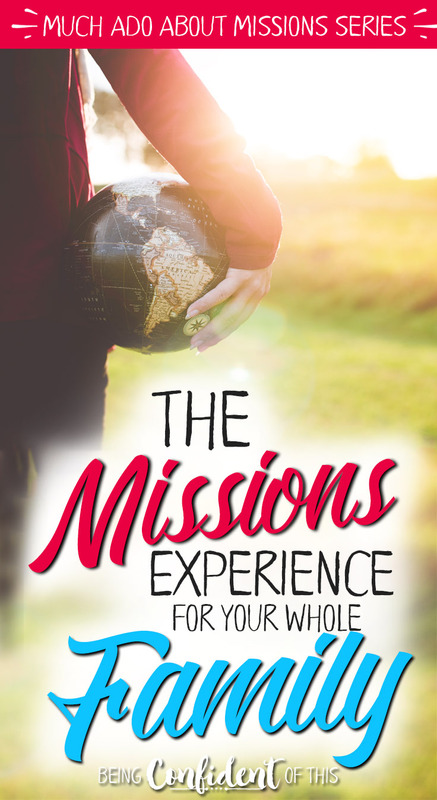 If you’re joining us for the first time, in the first week we zeroed in on the need for emphasizing global missions and how we can accomplish that even within our homes. Be sure to stop by our Week 1 wrap-up for informative posts on the best resources for missional families, fun crafts on how to introduce your kids to missions, and the missional M&Ms. While we discussed impacting our homes in week one, this week we’ll be discussing how to impact our communities and even our world through missions experiences and outreach opportunities for you and your family. If you’ve been following this blog, you know that my husband is a minister in a small country town. So, by nature of his job, our family experiences a lot of community outreach through our church and even aside from the church. However, we also want our family to be involved in things that have an impact beyond our community. As Christian parents, we want to be mindful of the needs in that great big world out there and have the Lord’s heart for the nations. I listened to a sermon recently given by a missionary who said that he drove a single mile to the church he was speaking at that morning and passed 3 churches on the way! Yet in an unreached people group in China that is 15 million strong, not a single church exists. Not. One. So, I’m going to start out the week by challenging you to leave the comfort of your own home, your own city, your own state and try something as a family that could potentially change many lives. 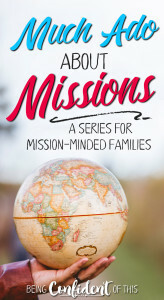 My husband and I want our children to understand the importance of global missions as much as they understand community service and outreach, and that requires us to stretch beyond what is comfortable. Experiencing firsthand is so much more powerful than just hearing about it from missionaries who come to speak at church or, for my family, from your former MK wife/mother. 🙂 So, we’ve put together a very brief list of experiences that could benefit the whole family. 1. Church missions trips – If your church is offering a missions trip experience, this would be the perfect way for you, and possibly your family, to experience and serve alongside a missionary that your church is already connected with (whether in the states or abroad). While heading into unfamiliar territory, you would at least have the comfort of travelling and experiencing right alongside other members of your church. This type of trip helps you to better understand the need as well as the missionaries you help support. 2. Wayumi – if leaving your home country to serve in a remote location scares the pants off of you, or just isn’t possible for medical reasons, etc., why not start with a missions experiences available right here in America through New Tribes Mission? (Update: New Tribes Mission has rebranded and is now Ethnos 360) You can spend anywhere from 1 day to a week at Wayumi, a center located in Pennsylvania, and be exposed to other cultures, the trials of language study, and so forth. Although the experience offers very realistic replications of tribal huts, tribal foods, and so on, some modern conveniences are still available. 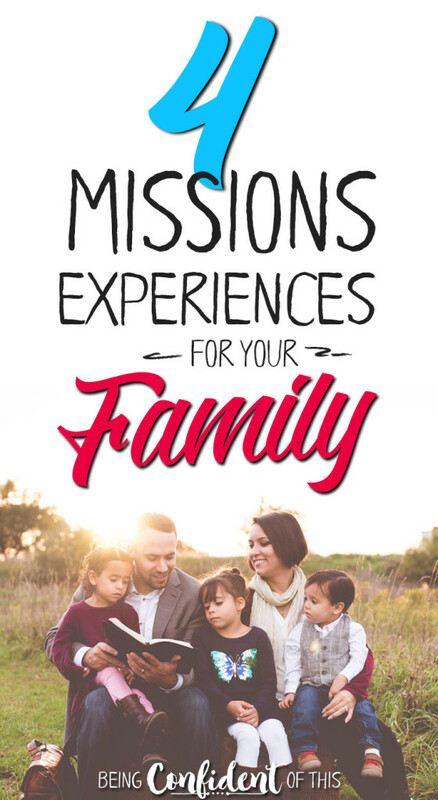 It’s a way to learn about missions and perhaps even stretch yourself and your family a bit, but the cost is significantly less than an overseas trip. 3. Serve with New Tribes Mission (NTM) – http://usa.ntm.org/go – (Update: New Tribes Mission has rebranded and is now Ethnos 360) this non-denominational missions organization that focuses on church planting along with scripture translation offers a variety of opportunities for families and even college students. Short term, service-based trips last anywhere from 2-4 weeks, while longer stays of a year are necessary for associate workers who go to fill an immediate need. College students can even earn credits through the Interface internship program in Papua New Guinea. Most importantly, this organization is always searching for teachers who would be willing to serve for 1-2 years in their overseas schools! Many missionary children (such as myself as an MK) attend boarding school at a central base so that their parents can focus on language learning without the added responsibility of homeschooling (although many do homeschool through elementary grades). One way for those with teaching experience to help spread the gospel to the unreached is to serve by teaching missionary kids. 4. World Changers – http://www.lifeway.com/worldchangers/index.php/about/ – is a program for youth through college-age students. These trips usually take place in the summer months, when groups travel to specific cities to complete community service projects. In the past, some groups have gone to inner city ministries, disaster areas for restoration projects, etc. This is not your everyday community service. Students complete bible study/training beforehand, including learning how to use evangelistic tools. If you have or know a youth, this program is an excellent way to teach them how to be someone who changes the world! These are just a very few of the multitude of opportunities to serve your world beyond your neighborhood, your town, your state, even your country! What can your family do to stretch and grow beyond what is normal and familiar to you? How might you consider helping to reach the most unreached peoples of the Earth, the third of our world population who currently have no hope? I know that God asks believers to fill a variety of roles in the Body, of which missions is only one. But I also know that God’s heart is for all nations, not just the one we live in. As I mentioned in the Introduction of this blog-hop, I don’t have all of the answers, even for our family. However, I do believe it is something that all Christians should prayerfully consider. If you know of another firsthand missions experience opportunity, please feel free to share with the readers in the comments! Remember that Old Testament story about Abram? The time when God told him to go “in between,” into the land of the unknown with no destination in sight, no idea where the road might lead? I believe my husband and I are facing one of those unknown in betweens. It’s happened before; in fact, it happened as little as 2 years ago when the Lord began to speak to us individually. His voice wasn’t clear at first, just a feeling that some big change was coming and we’d better be ready! And it’s been difficult, yet beautiful. The in between can be scary – the kind of are you really going to ask me to leave all of my friends and family scary. Do I need to sell my house scary. How will my children react scary. I don’t know if I’m strong enough for this scary. What exactly are you asking scary. I’ve always been impressed by Abraham’s ability to go forth into the in-between with no ifs, ands, or buts. No conditions on his obedience. No pleading for more time. Going into the in between without bartering for some sort of control is difficult. But I know if our Savior is leading us there, then the in between will be a good place, perhaps difficult, but good. 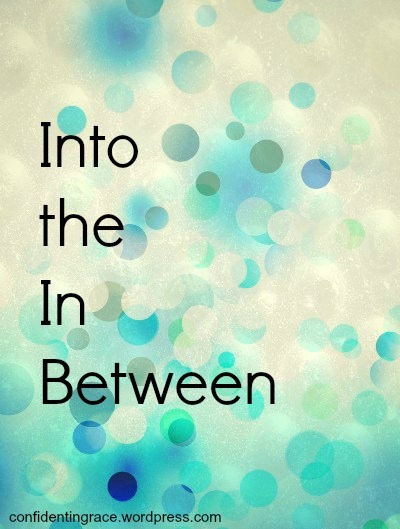 The in between will be good for me, good for my husband, good for my family, good for my faith. I wish the knowing lessened the feeling. 🙂 It’s true. The fear is still there, that unknown in between that stretches beyond our human vision. But like Abraham, we’ll venture forth into it, trusting and believing that although we have no idea where the road ends, He does. It’s true – the fear is still there, that unknown in between that stretches beyond our human vision. But like Abraham, we’ll venture forth into it, trusting and believing that although we have no idea where the road ends, He does. What was Abraham’s reward? A son. No even more, a nation of sons. The beginning of the Promise that would bring hope to all mankind, an abundant blessing he could not even have imagined when he first stepped into the in between. We’ll listen for His voice. linking up at www.lisajobaker.com for Five Minute Friday. I’m privileged to attend a women’s bible study on Tuesday mornings most weeks. We’re currently studying the book of Hebrews in depth, and this week the focus was on the latter part of chapter seven. In this chapter, the author spends a great deal of space demonstrating why Jesus is the ultimate High Priest, even greater than Melchizedek, who was a pillar of the Hebrew faith. Because Jesus is eternal, He is superior. Because He is perfect, blameless, He is superior. Because He continues to intercede on our behalf at the Father’s right hand, He is superior. “23 The former priests, on the one hand, existed in greater numbers because they were prevented by death from continuing, 24 but Jesus, on the other hand, because He continues forever, holds His priesthood permanently. 25 Therefore He is able also to save forever those who draw near to God through Him, since He always lives to make intercession for them. When asked to reflect on these verses, the end of verse 25 jumped out at me. “He always lives to make intercession for them.” That is His purpose at the right hand of the Father, to intercede on my behalf, continuously, for all of eternity. Did you catch that? Our risen Savior didn’t just choose us at the cross. Our Savior chooses us now; defends us now; redeems us now; intercedes for us now, moment by moment, forever and ever, hallelujah! 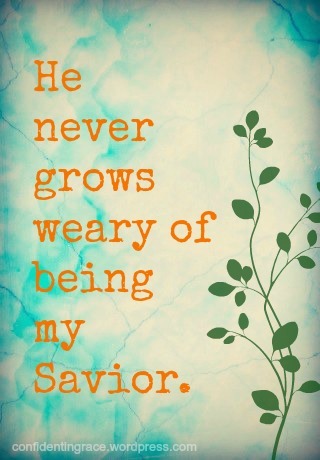 I often grow weary of my children (let’s be honest, now :)). I often grow weary of my husband, of others, and sometimes I even grow weary of my Lord. My love fails. But His love never fails. 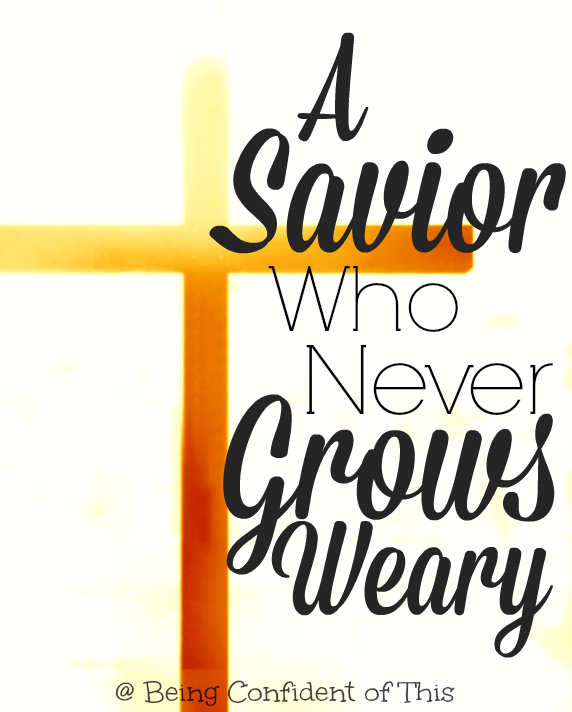 He is a Savior who never grows weary! It wasn’t just a one-time act, that choice to suffer on the cross, that forgiveness of even the most unpardonable sins. He continues to act on my behalf, acts for my forgiveness, over and over again. Today, and the next day, and for all of eternity. As humans, we cannot even come close to that kind of love! In fact, even our most sacred vows end with ” til death do us part.” One day we will come to an end, and with that end, our imperfect love will also cease. We says things like, “I’ll love you forever” but that promise is impossible for us to keep. And even if we manage to love one another for a lifetime, our love is full of faults, imperfections, wounds, conditions. But His love is not our love. He alone can keep the promise of a perfect, forever love. Our High Priest claims us time and time again. Father, you see that one right there? I chose her. I died for her. Her sin is covered by my blood. She belongs to us now. I call her beloved. I love her as she is. Oh, the overwhelming grace! It’s almost painful in its power. It floods us and we drown in it, dying to self and rising anew. Rising to bone-deep gratefulness. Rising to undeserved confidence in our eternal position. Rising to true love. If you’re feeling low-down and unworthy today, unloved or under-appreciated, overwhelmed by sin or temptation or trials, or maybe just a little weary of life in general, remember who your Savior is. Some days just getting started in the morning is the most difficult challenge we’ll face all day long. It’s hard to overcome, especially when a day starts out bad from the beginning! Overcoming a bad day is hard to do once it has already started! What do you do when you wake up with zero motivation? How do you get past a grumpy mood so early on in the day? Be sure to leave some comments for us and give us your best advice for dealing with a not-so-great morning!